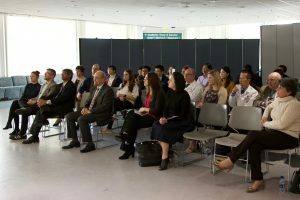 On April 3rd, Stony Brook University Libraries held an event in the Health Sciences Center to launch the online exhibit, Dental Instruments: Past and Present. 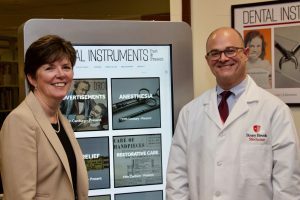 The online exhibit was created by digitizing the text, images, and objects which make up the physical exhibit, currently on view in the Health Sciences Library. The collection includes items on loan from the Dr. Sherman Mills Collection, the Dr. Baer Collection (held by the Stony Brook University School of Dental Medicine), the collection of Allan Kucine, DDS, and the Stony Brook University School of Dental Medicine, as well as a copy of The long climb: From barber-surgeons to doctors of dental surgery, donated by the author, Philias Garant, DDS, Professor Emeritus at Stony Brook University School of Dental Medicine. 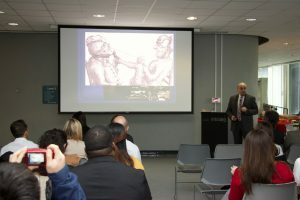 The event featured a lecture by Dr. Andrew Spielman, Associate Dean for Academic Affairs at the NYU School of Dentistry, entitled, “The Peer Review of Pierre Fauchard’s ‘Le Chirurgien Dentiste'” (1728), as well as introductory remarks by Constantia Constantinou, Dean of University Libraries, Barbara Russell, Brookhaven Historian and daughter of Dr. Sherman Mills, and Mary T. Truhlar, DDS, MS, Dean of the Stony Brook University School of Dental Medicine. Light refreshments were served, thanks to the generous sponsorship of the Stony Brook University School of Dental Medicine. The lecture was followed by a visit to the physical exhibit. The digital exhibit was accessible via a touchscreen kiosk adjacent to the exhibit cases. 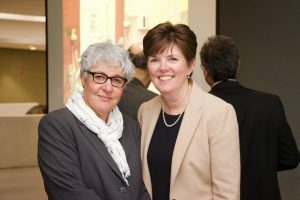 The University Libraries are grateful to the donors, faculty, staff, and students who made the exhibit and the event possible, as well as to the National Network of Libraries of Medicine, Mid-Atlantic Region, for their generous support through a Health Sciences Library Project Award grant awarded in 2017.